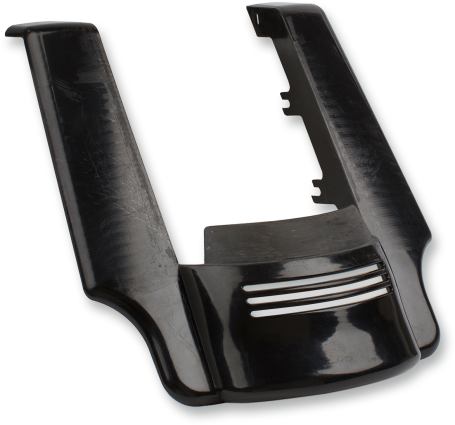 Tough injection molded ABS saddlebags provide superior strength and rigidity. Angled-cut design gives the ultimate custom look and provides maximum cornering clearance! Saddlebags are stretched 5 inch longer than stock to cover the muffler front to back and give that stretched look. Bags have cutouts for dual exhaust applications; block-off plates available separately for single or shorty exhaust applications. Accept OEM lids, latches and hardware (sold separately). Bags can be purchased separately.